CNC Billet Aluminum Sprocket 8mm 39 tooth Performance made in the USA! 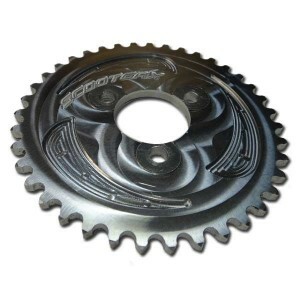 This Sprocket will fit the Scooter-X Dirt Dog, X-Racer, and SkaterX. 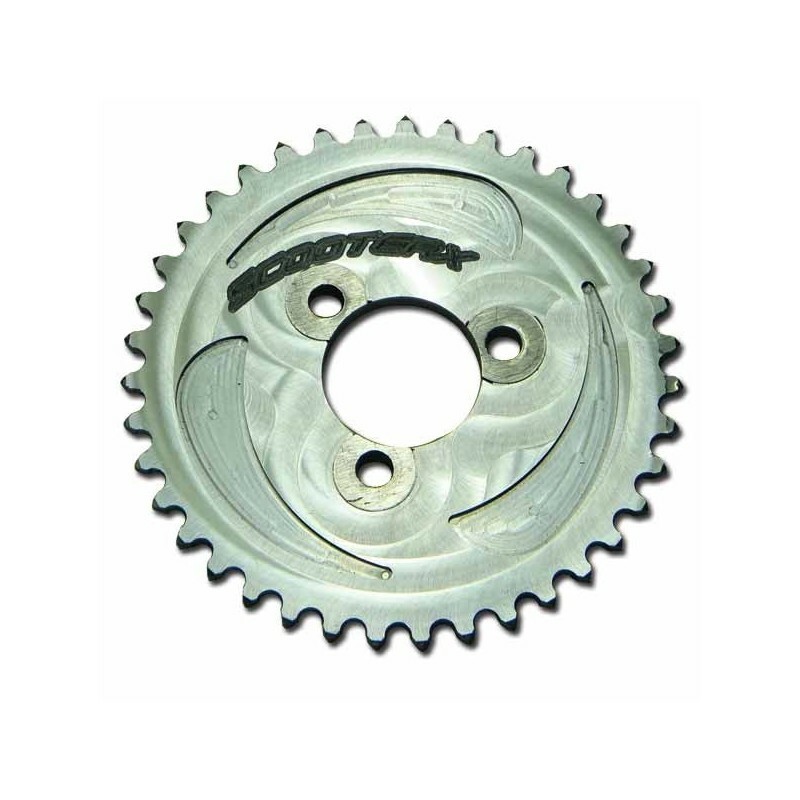 This sprocket will also fit any scooter with the same bolt pattern and chain size. This is a great way to boost your top speed. 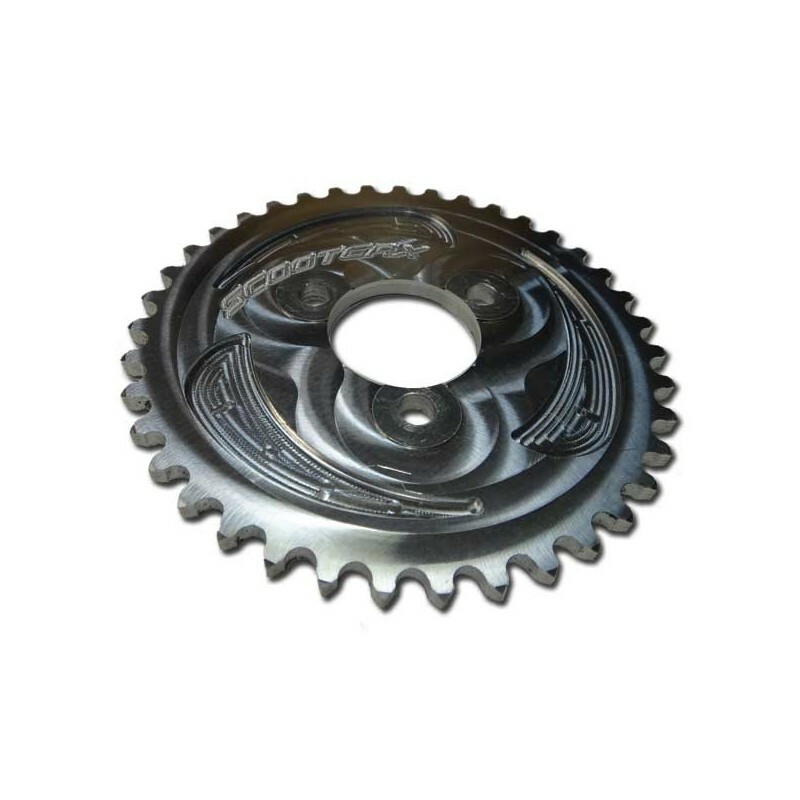 This sprocket will make our 3 Scooter-X models 5+ MPH faster than stock. Speed of different models may vary depending on how they are currently geared. Requires a 39 link 8mm chain. You can shorten your stock chain but will need a masterlink.